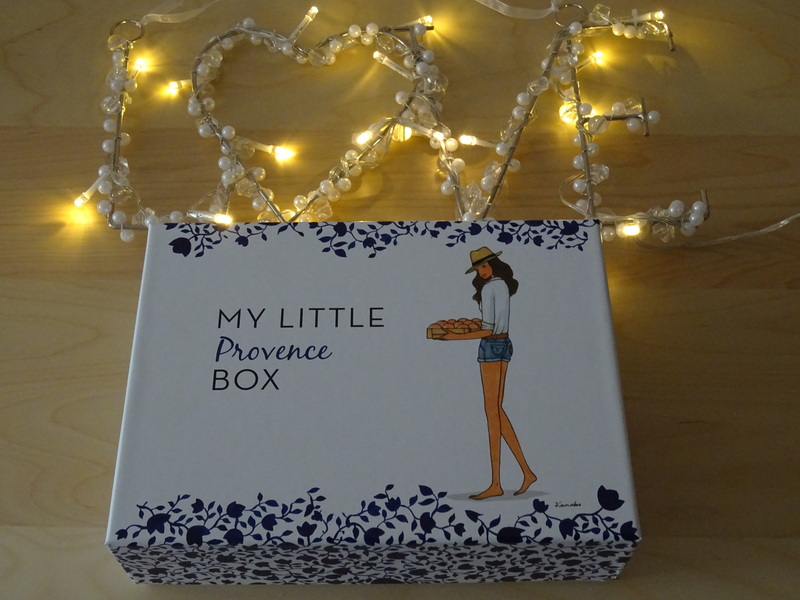 The May 2015 My Little Box is themed around the picturesque beauty of Provence. The box contains charming pictures of Provence itself and illustrations which definitely puts you in the mood for relaxing and vacations. Celebrating this exquisite French region, My Little Box have quite rightly teamed up with L’Occitane which of course was founded here. This brand screams luxurious and quality products so I was pleasantly surprised to find four travel sized items by the brand. 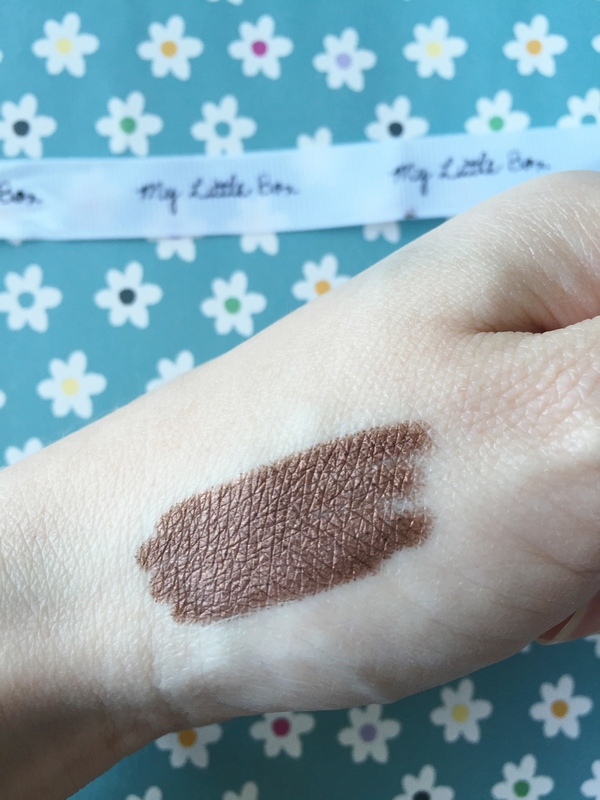 In addition, there is also a My Little Beauty item and two lifestyle products. 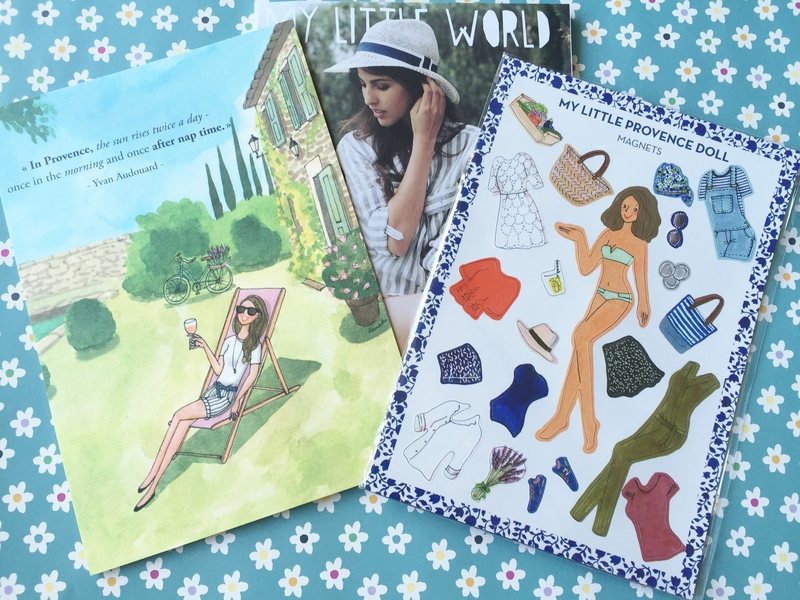 The My Little World magazine has had a make-over and now comes in a fold out spread rather than a booklet. It opens up into a huge poster of an illustration, similar style of the box illustration. It features an interview by Anne Marie, otherwise known as Really Ree, a British Youtuber. Additionally it contains some beauty tips and cuff designs for inspiration. 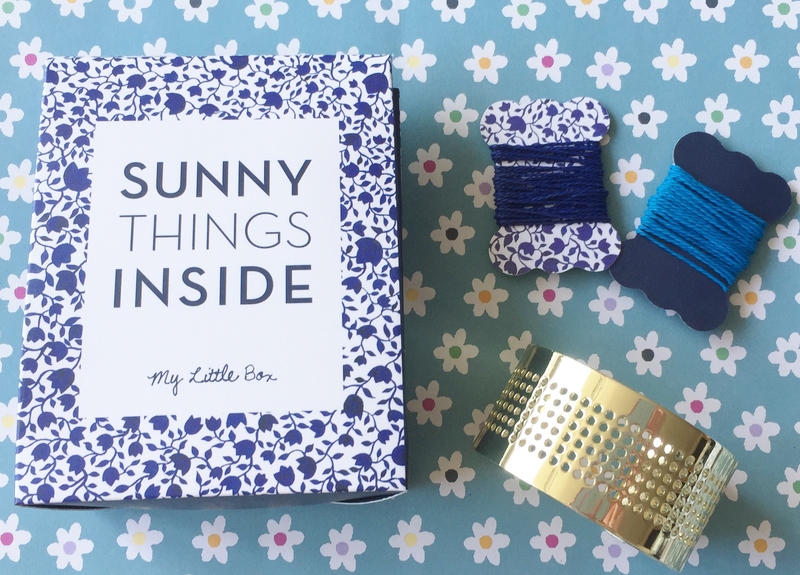 This month the lifestyle products are a My Little Doll magnet set, RRP £6. It’s basically a sheet of magnets consisting of a doll and various outfits and accessories to affix onto your fridge, for example. It’s fun and different although I have to say that it’s most likely tailored for a younger audience. Secondly there is an Embroidary Cuff, RRP £15. Sadly this isn’t really for me however it is a gold cuff which you can embroider thread through the holes making a unique funky accessory. This shower gel smells amazing! It gently cleanses the skin, leaving it freshly perfumed and leaves the skin feeling clean with an invigorating scent, which isn’t over powering. It is the perfect morning pick me up bringing the sea breeze from the South of France straight to your shower. The fragrance of this lotion is incredible! It contains verbena extract and grape seed oil which nourishes the skin leaving it feeling silky smooth. It’s non greasy, non sticky and absorbs well into the skin. The fragrance reminds me of fizzy lemon sweets and is so uplifting. I think I’ll definitely be investing in the full sized item pretty soon. I’ve actually just started to get into using hand creams, more so to moisturize and nourish my cuticles which seem to have become very dry all of a sudden. The size is perfect for popping in your hand bag, traveling or just on the go. The cream is light in texture and enriched with shea butter and vitamin E to help soften both the hands and cuticles, which is a must! It absorbs into the skin almost instantly without feeling sticky or greasy. I usually hate the feeling of hand cream but this one is definitely a winner. The scent is a light floral fragrance. It combines extracts of roses from Grasse, Bulgaria, Morocco and Turkey with a unique rose extract from Haute-Provence. I’ve not yet sampled this as I’m not a huge fan of bars of soap. It does look attractive and is shaped like a leaf. It smells very citrusy and is not only a soap, but also an exfoiliator. The soft moisturizing formula is said to banish all signs of dry skin. I do enjoy My Little Box however I have to say that with the lifestyle products, they can be rather hit or miss. I’m going to continue this box for now as I do like the surprises each month and the French vibe from them. If you would like to sign up, go to http://www.mylittlebox.com and enter FIRSTBOX in the promo code area. This will entitle you to your first box for only £11. I wasn’t very impressed with this box. Last month’s was so cute. I’m hoping June’s box will be better. How wonderful! 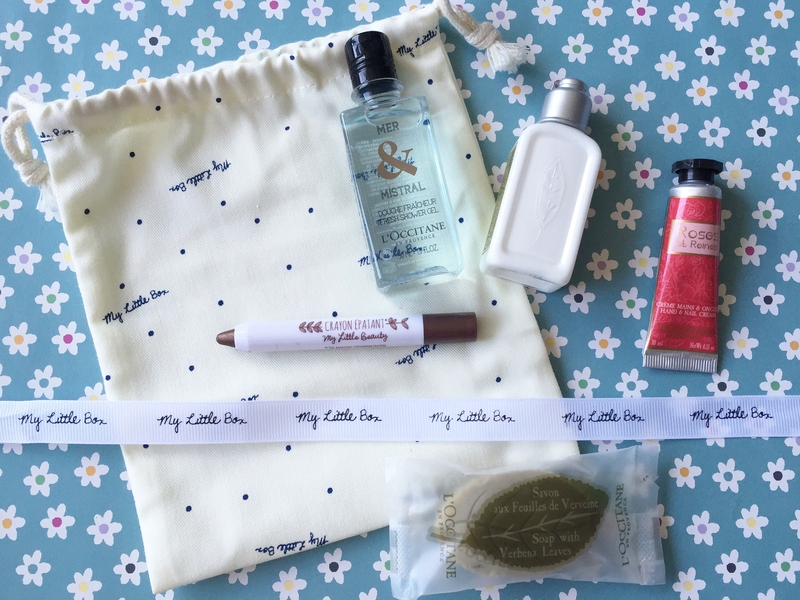 A cute subscription box! Love the sketches on the magnets and on the box. Congrats and thanks for sharing.